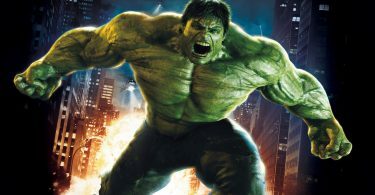 Every gaming and movie fan has a love for Super Heroes. The universe is full of powerful, shocking and hard punch hitters, but when you talk about the bravest characters, you’ll only find them in Marvel Universe (Sorry Superman). These protagonists have achieved everything and beaten all the bad guys in town. As a fan of Spidey, Hulk, Thor, and Captain America, you should be proud of yourself. 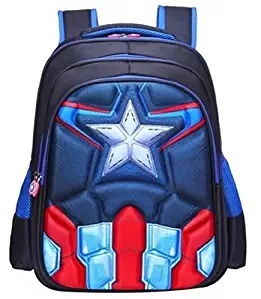 So to enhance your excitement, I want to bring your attention to 10 trendiest high-quality Avengers backpack collection that you should consider for daily use. Life is all about danger; you just don’t know what will happen next so I presume you may need this shield to carry around. It’ll protect your stuff and give you a hassle-free experience. For Marvel as well video game fans, check out this Kawaii Graphic style that features all the famous characters including Spiderman, Iron Man, Captain America and more. You can carry many kinds of stuff at the same time. 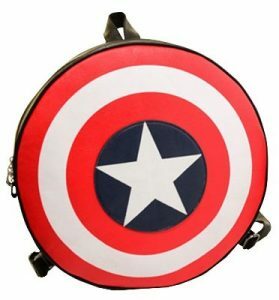 Follow the footstep of your patriotic hero and show the world your love for the country in featured style Captain America Bag with his signature symbol in the middle. The movie was a hit but the story is not over yet. 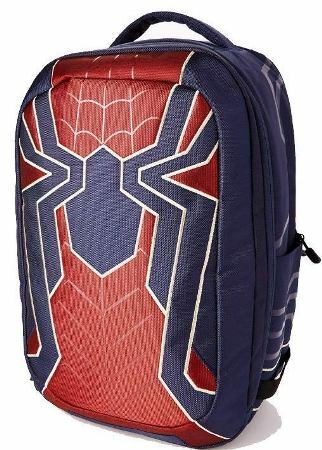 Get ready to swing your way while carrying this awesome backpack of Iron Spider. 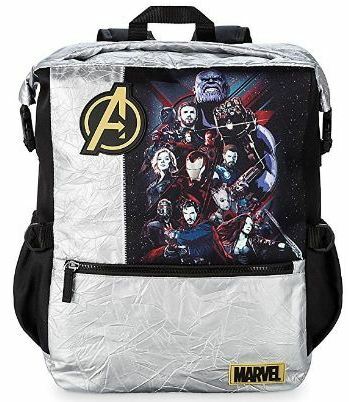 This Infinity War bag is specially made for the fans of superheroes. 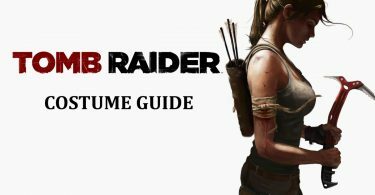 Digitally designed and features all characters. 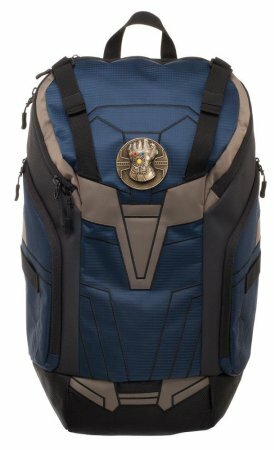 If you’re not wiped out by Thanos injustice deed, you’re in luck because you’re getting the chance to try out this awesome backpack of the Mad Titan. He’s not just here to scratch and makes enemies bleed but also here to carry your gadgets. 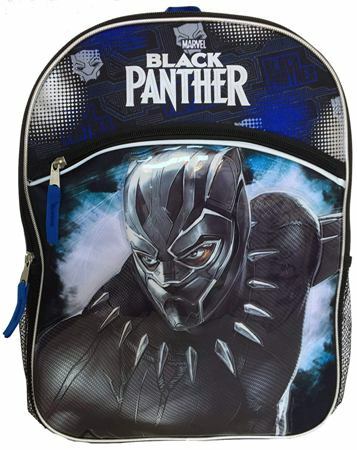 No bully will hurt you when they see you wearing this Black Panther backpack. 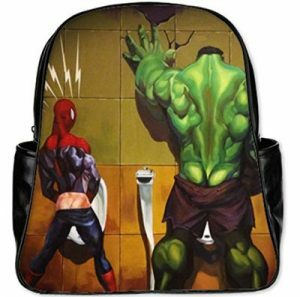 You will get shocked if you see Hulk Peeing. Just ask Peter Parker, he had a horrible experience but hey, it’s just a bag, nobody will bother. 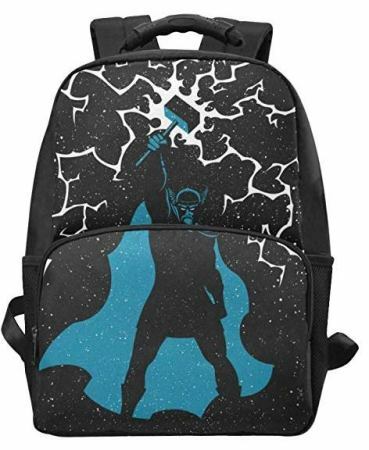 A girl worthy of being a Thor fan can only carry and hold this backpack for school. Yeah, it’s a unique design made especially for young girls. 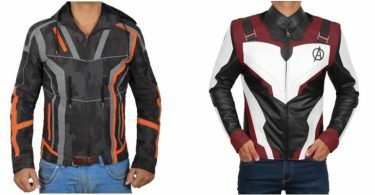 The Marvel cinematic movie merchandise has gain popularity worldwide. 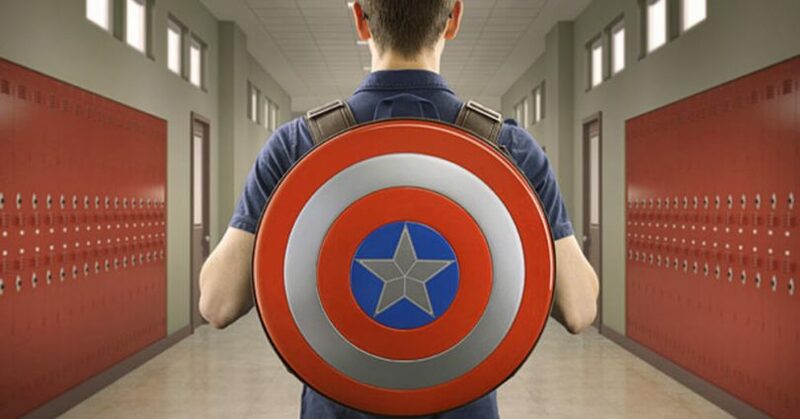 Currently, Avengers Backpack is on the top list which you should consider as your travel companion too. All these items are dedicated to your favorite characters from the comic book and especially the movie. Stay posted for more superhero collection. 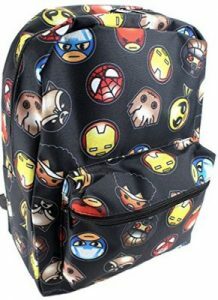 Also, see Iron Man Backpacks.